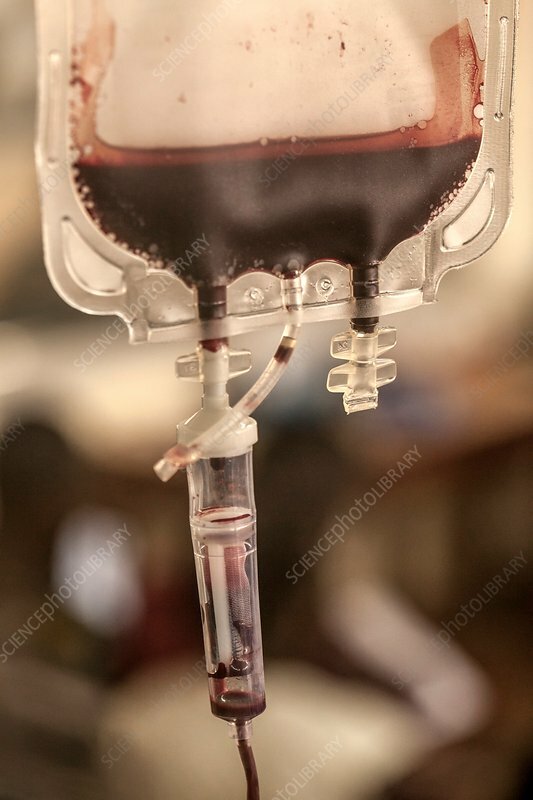 Blood transfusion bag. Blood transfusions are carried out to replace blood in people with blood disorders, or those who have lost blood through trauma or surgery. The blood group and type needs to be matched to that of the patient. Common blood disorders that can require regular transfusions include thalassaemia, anaemia and haemophilia. Photographed at St Mary's Hospital, Lacor, Gulu, Uganda.